I was super excited this afternoon to open up my mailbox and find that my passport had once again been returned safely through Canada Post – Xpresspost. This time, with my Myanmar Visa inside! I now have both my Vietnam and Myanmar visas, so I’m legally allowed to travel to these countries. The Cambodia visa I will get at the border and Thailand doesn’t require one for stays of less than 15 days. Don’t get me wrong. I still have a lot of things to do / buy / decide / get ready … but with my passport back in hand, I’m ready! 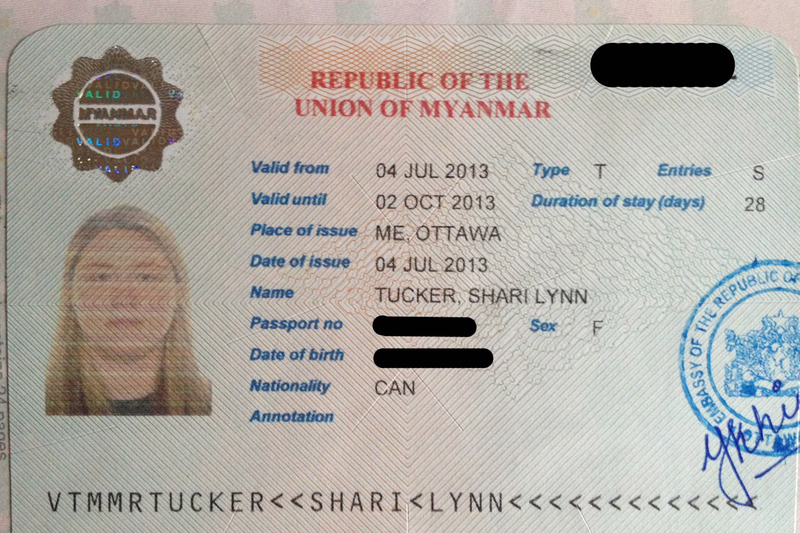 Here’s what the visa looks like (of course I blocked some of the information out).